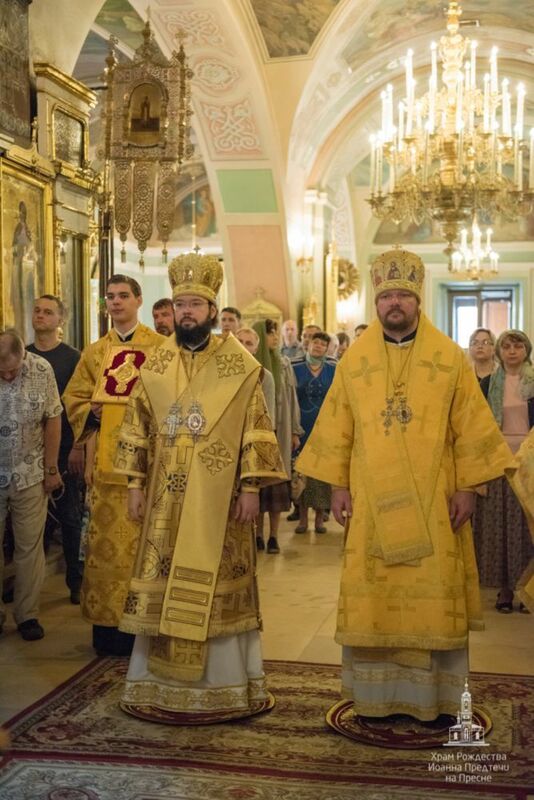 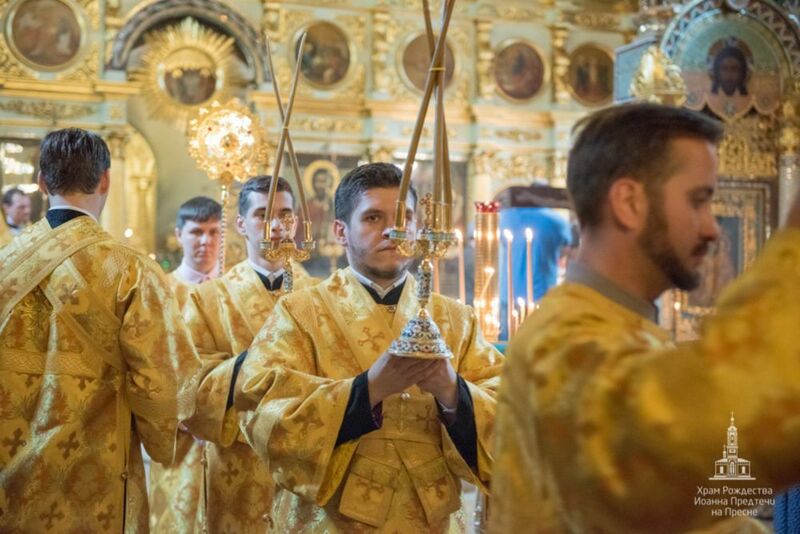 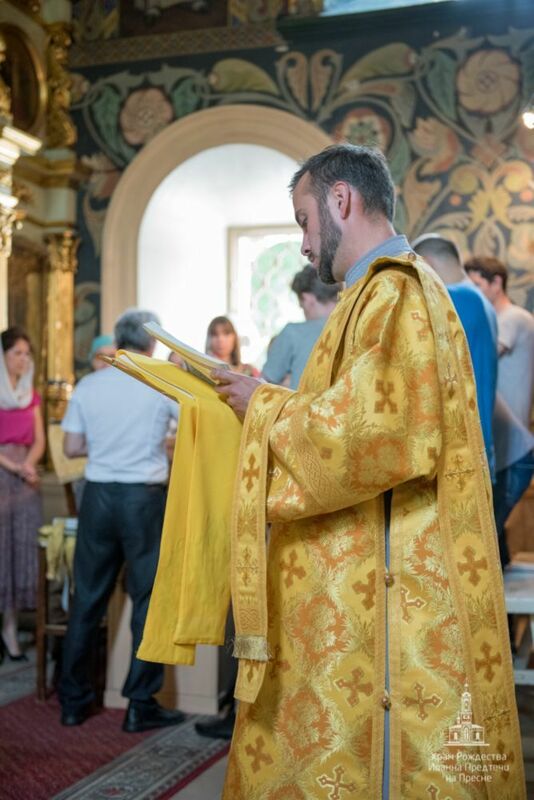 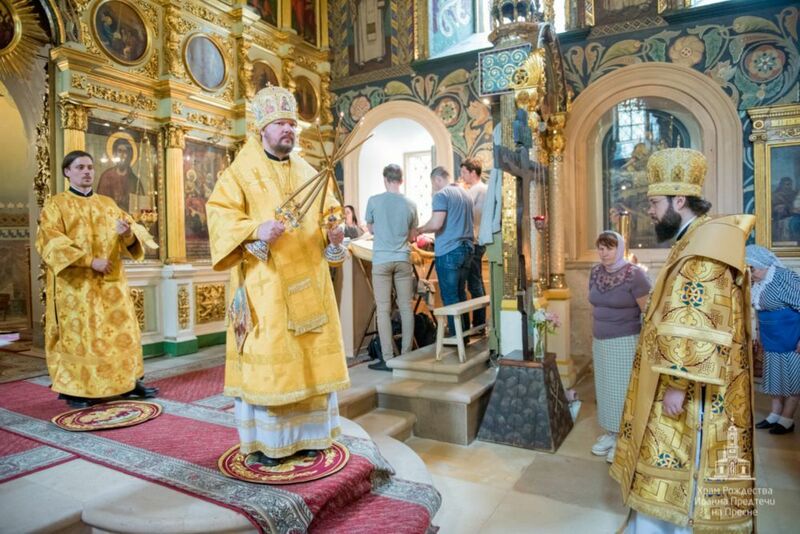 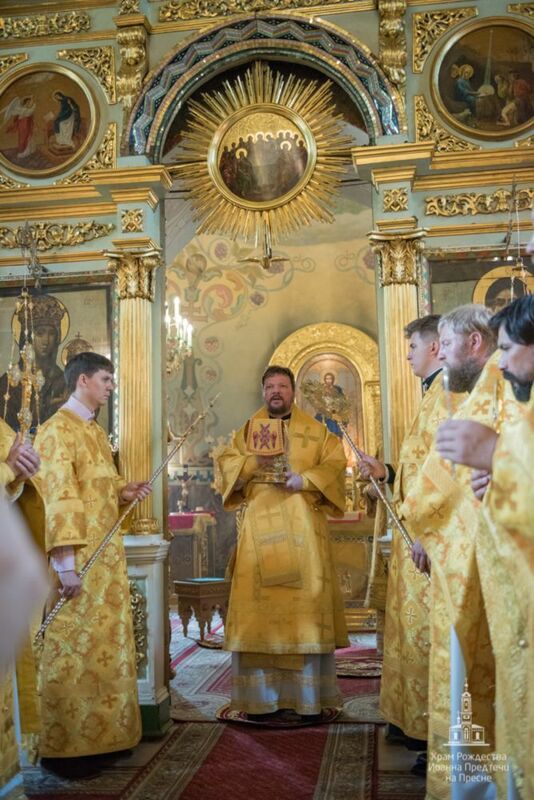 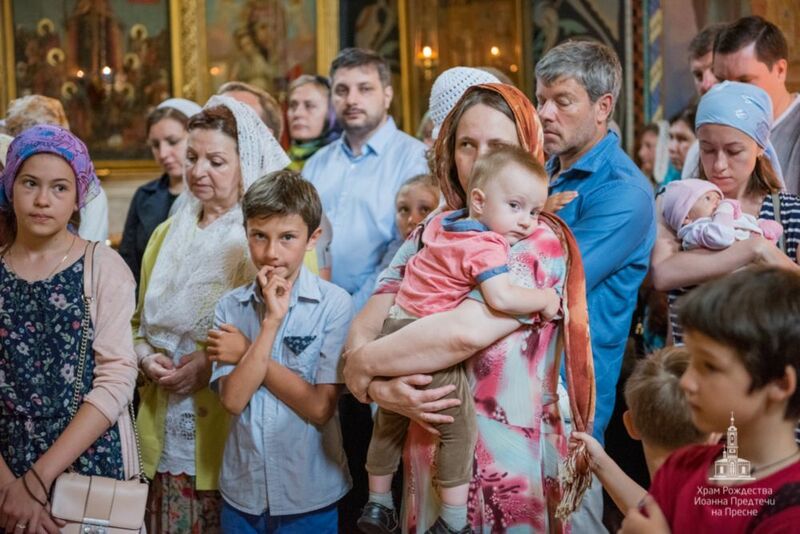 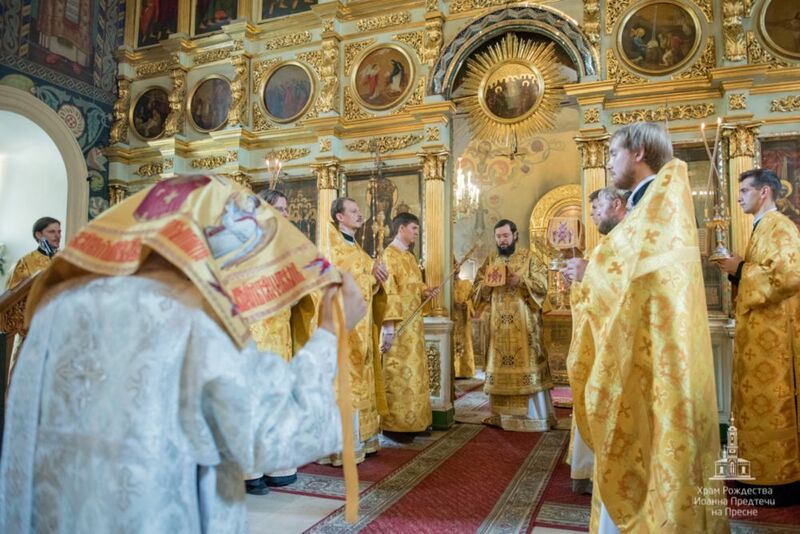 On Sunday, July 1, with the blessing of Hs Holiness Patriarch Kirill of Moscow and all Russia and at the invitation of parish rector, Archbishop Antony of Budapest and Vienna, Divine Liturgy was served in the Church of the Nativity of St. John the Baptist in Moscow. 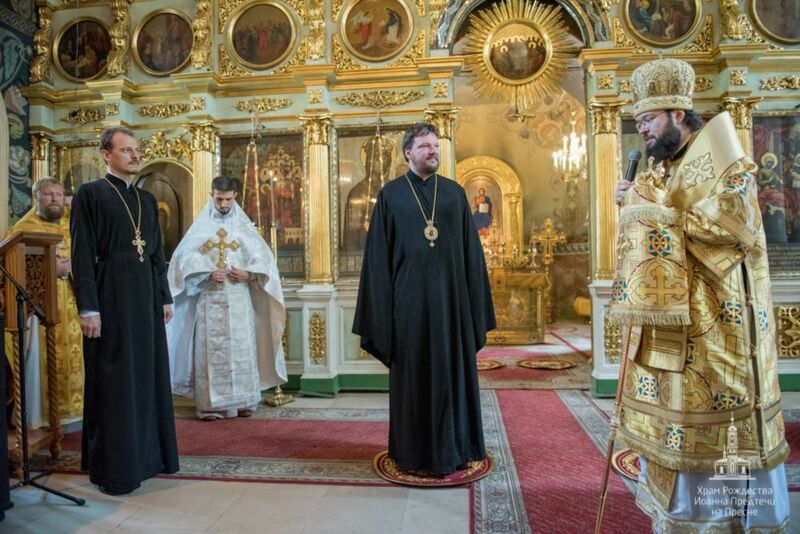 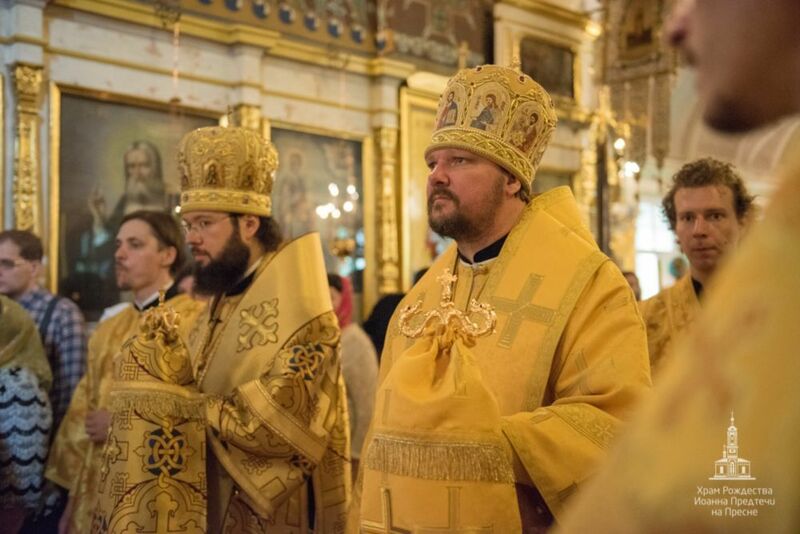 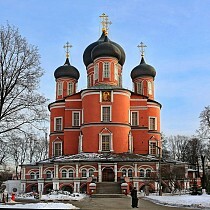 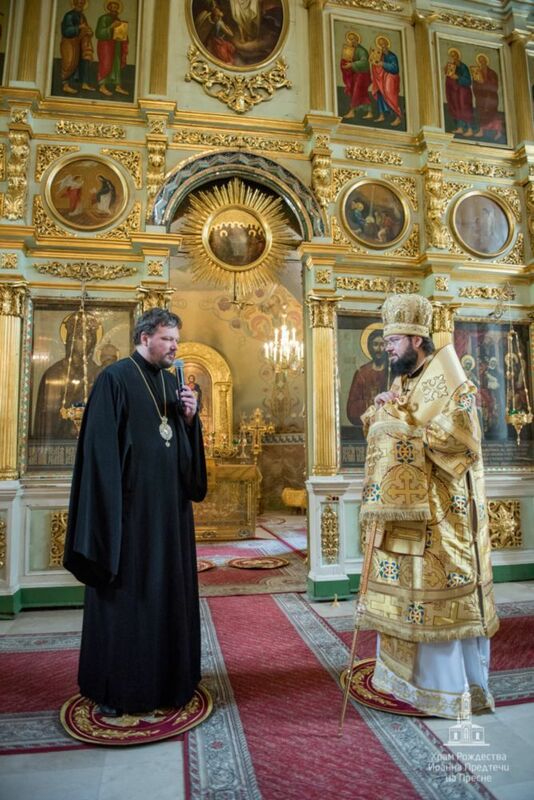 The hierarchs were co-served by parish clerics Priest Aleksey Vorontsov and Maksim Boyarov as well as guest clergy: Archpriest Yaroslav Lutoshkin (cleric of St. Nicholas Cathedral in New York City), Archpriest Timothy Zolotusky (rector of St. Nicholas Stavropegial Church in Reykjavik, Iceland), Hieromonk Amvrossy (Matsegora; dean of St. Catherine Stavropegial Church in Rome, Italy) Deacons Yevgeny Kuznetsov and Roman Borodich. 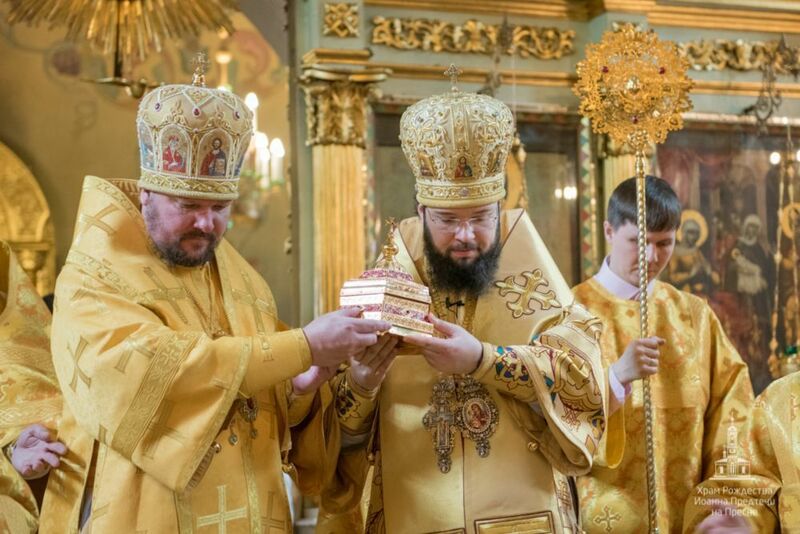 After the Great Entrance, with the blessing of His Holiness Patriarch Kirill, Archbishop Antony ordained Deacon Roman to the priesthood. 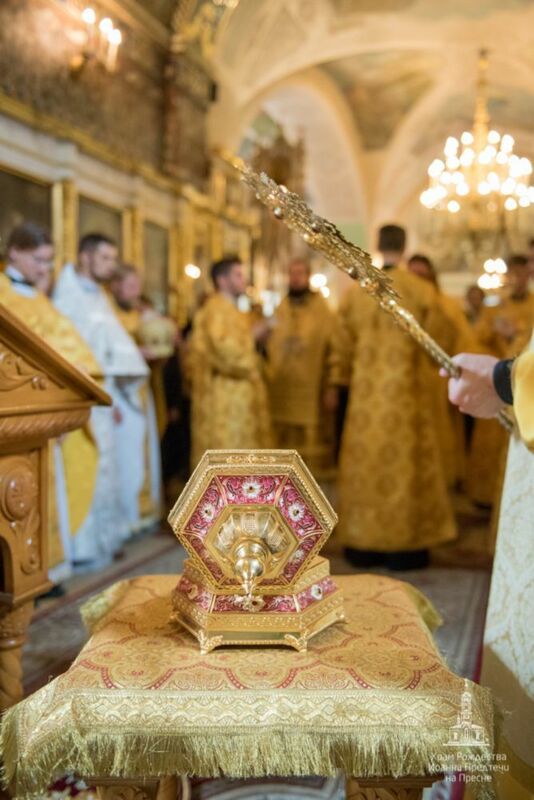 Following the dismissal, a short moleben was served before the relics of the heavenly patron of the temple, St. John the Baptist.